The application of the new ultra-thin coating on windows allows the building to become temperature-responsive, according to the researchers. The self-regulating coating, which is a thousand times thinner than a strand of human hair, automatically allows heat in when the weather is cold and blocks the sun when it’s hot. The smart windows concept helps buildings regulate temperatures within, reducing energy costs and achieving significant savings. According to associate professor Madhu Bhaskaran who leads the research project at RMIT, buildings lose energy substantially through regular glass windows. However, smart windows featuring the new coating technology will be able to block out heat in summer and retain heat in winter, reducing reliance on expensive air-conditioning and heating while lowering the carbon footprint of buildings. By eliminating wastage of energy, the coating will help meet future energy needs. Made from a material called vanadium dioxide, the coating is 50-150 nanometres in thickness and can be directly applied to glass surfaces. While the coating stays transparent and clear to the human eye, it becomes opaque to infrared solar radiation. Though the coating reacts to temperature, an override switch can be used to control the level of transparency on the window, much like a dimmer. Smart glass windows currently available in the market do offer significant energy savings over standard dual pane glass. The Empire State Building, for instance, installed smart glass windows, which resulted in energy savings of US$2.4 million and reduced carbon emissions by 4,000 metric tonnes. However, this version of smart windows required energy to operate. 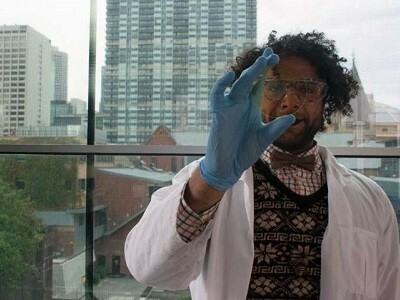 The coating developed by the RMIT research team responds directly to changes in temperature without needing any energy.